I was reading Yoram Barzel's property rights analysis (pdf) of the rise of Parliamentary government in England, when the full force of his critique of normative concepts of the rise of parliamentarianism and representative government hit me. That Iraq is busily messily falling apart, following on from--and partly a consequence of--Syria doing so, with the advance of the Islamic State of Iraq and Levant, (vindicating the long-ago analysis of T E Lawrence) helped the penny-drop moment. The normative approach is an error of historical understanding at two levels. First, because the norms evolve along with the evolution of the bargaining state. The barons at Runnymede in 1215 (Tammany Hall in chain mail, as H Beam Piper called them) lived in a different normative universe than the participants in the Glorious Revolution of 1688 who themselves lived in a different normative universe than those arguing over votes for women in the late C19th and early C20th. If acceptance of the norms of representative democracy as they currently operate in the West is necessary to establish an active bargaining state elsewhere, then the enterprise is doomed. Those norms are the result of very particular histories and experiences. If, however, the exercise is an operative (i.e. about trade-offs that work for the society in question), rather than a normative, one, then we can be much more hopeful. Just as Britain tried to export the Glorious Revolution to Mesopotamia and the Hindu Kush, so the US has tried to export the American Revolution to the same places. But both the Glorious and American Revolutions were the product of very specific historical circumstances--as the adherents thereof well recognised at the time. Even such a revolutionary firebrand as Patrick Henry grounded his most famous Revolutionary speech in specifically British traditions. Traditions which are too often read from now backwards, instead from then forwards. Hence the second error--not understanding the operative nature of the process and the evolving bargains. Yoram Barzel's point is that it the process of the growth of Parliamentary government should not be understood as one long wresting of power from royal clutches, but as process where monarchs often engaged in trade-offs that were very much in their interests. It is easy enough to point to King John being dictated to at Runnymede, the military defeat and execution of Charles I, the overthrow of James II but what these rulers had in common is that you could not make a deal with them. In the case of John and Charles I because they could never be trusted to keep to any agreement and James II because he was fixated on an outcome that was anathema to the bulk of the British political nation. 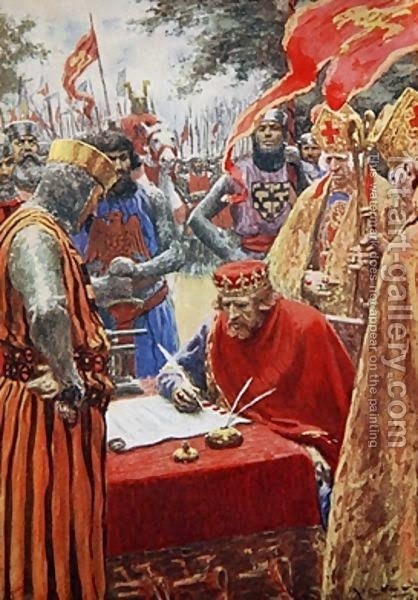 Magna Carta stuck because it was re-issued under Henry III and by Edward I. Simon de Montfort's innovative parliament stuck because Edward I saw it as an effective tool of governance. Indeed, the pioneer of summoning elected merchant representatives was a king--Alfonso IX of Leon & Galicia. The Glorious Revolution stuck because William III and Mary II could see a good deal when offered to them. 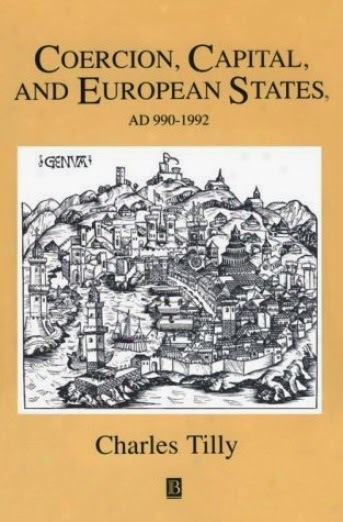 And while these spectacular landmarks of history generate nice dramatic set-pieces, Barzel points out that the history of the growth of Parliamentary government and rule of law was much more a steady evolution, an evolving series of trade-offs, where rulers gained by giving folk a say. A point that Barzel does not consider much, is that such forums also provided very useful information sources for monarchs. It gave them a way of checking up on their own agents (a helpful monitoring service) and of ensuring they were in touch with the concerns of people who mattered. Even from this distance, it is fairly clear that Edward I was concerned that he not lose touch with the concerns of the powerful--of the wider political nation--in the way his father had and saw in Simon de Montfort's parliamentary innovations a useful way of doing precisely that. A nice social bargaining contrast is provided by comparing China and Japan as they confronted the Western challenge during the C19th. 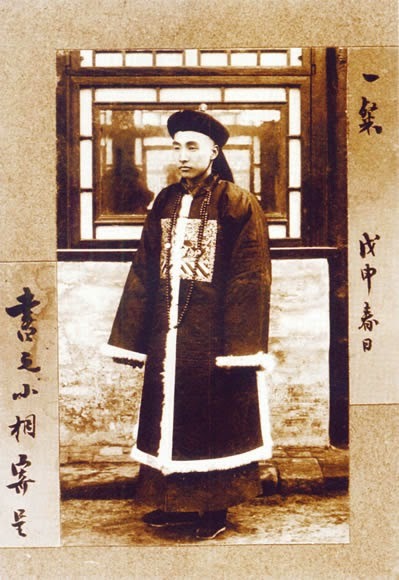 The great difference between Qing China and Japan in confronting said challenge, was that under the Song, the Ming and the Qing, China had been ruled by thin meritocratic official layer. There was a clear, very passive, social bargain--the state upheld family authority and provided minimal public goods, taxing relatively lightly, while families did not make trouble. Since the only lever the Emperors had to control their officials was command-and-control, the system was prone to decay into corruption and the dissipating of central control. Official in a one-track system. Japan was in a very different situation. 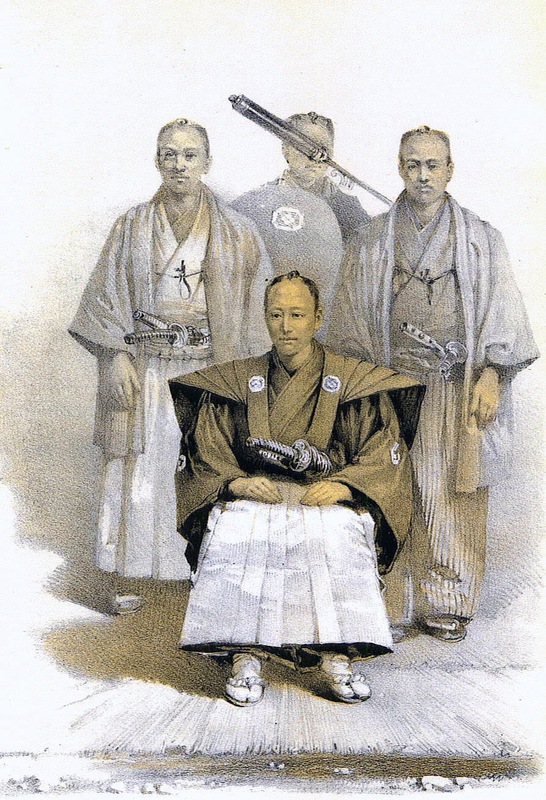 Social bargaining was built into its political structures, both active and competitively passive (between daimyos). It was much easier for Japan to add on to already existing institutions and patterns more formal structures for social bargaining adapted from the West and develop a modernising social bargain able to rise to the Western challenge than it was for a China where any such habits and structures had to be built from scratch. The problem with Iraq is that it might be able to work as part of a larger empire, but it makes no sense as a nation. (A state which needs someone like Saddam Hussein to hold it together is one not worth keeping.) It was a cobbled-together imperial deal, lumping together three (separately administered) Ottoman vilayets (a Kurdish one, a Sunni Arab one and a Shiite Arab one) into one state. While the recent American adventures there represent the US, yet again, trying (with not much success) to deal with the backwash of European imperialism, it also represents the triumph of the normative over the operative. The Republic of Somaliland shows what can be created by a genuinely locally-driven arrangement. It is governed by a universal suffrage House of Representatives and a House of Elders, made up of traditional leaders. In other words, their very own House of Lords. Because that reflects how their society operates. Both Iraq and Afghanistan would have had, or have, more chance of stable futures if their legislatures were more grounded in their social realities. But, of course, the Americans would never consider having some local House of Lords equivalent, because that would require too much knowledge of their own deeper history and be too confronting to their evolved norms. Nevertheless, the trick is to sell a workable bargain, a useful set of trade-offs. Not some pre-set normative wish-list from a quite different tradition. Part of the problem being that you have to see other folk as people to bargain with. 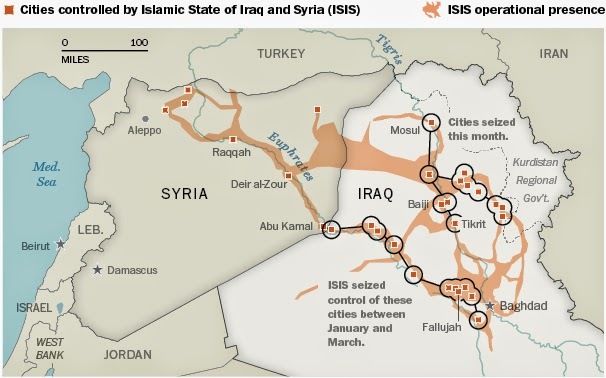 The Iraqi PM clearly did not see the Sunni in such a way, and is now reaping the consequences. Just as using ethnic membership as an indicator of loyalty can reduce coup possibilities while increasing the likelihood of civil war. That the jihadis reject any notion of the social bargaining state (which may also make them, including in the form of ISIS, less than durable in their local control) makes the need to have socially-and-locally grounded bargaining all the more urgent. Even if some negotiated settlement is (eventually) a likely outcome. But the Iraqi implosion also points to the fact that Europe's boundaries evolved over centuries, and even now are less than a perfect fit. The Middle East and Africa are dealing with state boundaries that often did not evolve locally at all, but were imposed by outside imperial powers. The last time the US did a good job of occupying a major country effectively on its own was Japan, and there it had much more similar social material to work with a pro-consul from a family with experience of colonial governance. The Bush Administration clearly did not think through the genuine difficulties and constraints of Iraq--having too little sense of history and too much American presumption of omnipotence. (Attempts to blame the present situation in Iraq on President Obama are particularly pathetic: though one may well make other criticisms of his Middle Eastern policies, which display a similar inability to think things through.) But the sui generis nature of American historical evolution makes for a poor set of framings from which to understand other societies. Yes, dividing Iraq was diplomatically fraught, but it is now the likely outcome anyway--or, at least, a very decentralised state--and in much less Western-friendly terms than a deliberately organised divorce would have been. While having some House of Lords equivalent--or equivalents--could have been a very useful way to work through existing social structures and to encourage bargaining that operated according to the contours of the societies in question. Conversely, the analytical humility required for a better effort would have militated against making the attempt in the first place. Such analytical humility would include taking religious motives seriously--but that is a perennial failure of contemporary Western analysis. Perhaps also the notion of instant solutions needs to be abandoned. The open and democratic societies of the West took a long time to evolve. In the longer view, perhaps the overthrow of Saddam has allowed underlying forces to, however brutally at times, work themselves towards social and political equilibriums which do not require rule by the most successful psychopath. ADDENDA Nice comment about clans and consensus. Nepotistic societies work on different time horizons and need processes that respect that.